A: Creatop is alcohol-based, so it soaks into the skin when applied and rubbed in. It dries in a matter of seconds, leaving no trace but a subtle scent and soft skin. Creatop is not 100% waterproof. 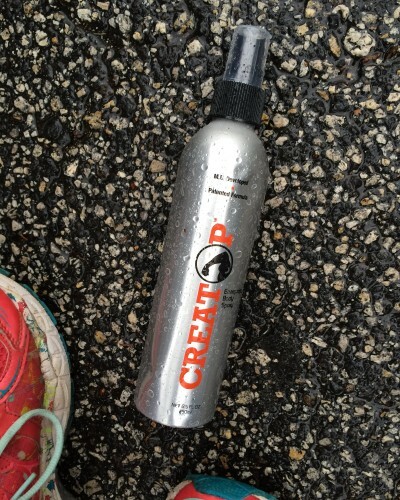 But If you’re headed out to a rainy outdoor workout, spray Creatop on and rub in before you leave. Give the solution about 10 minutes to start activating before you step out into the rain. That will help lock in the solution and avoid it washing off.